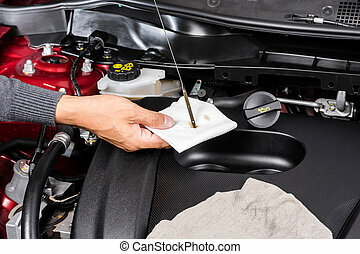 Car maintenance. 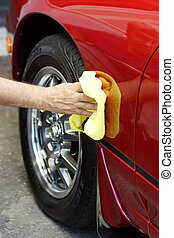 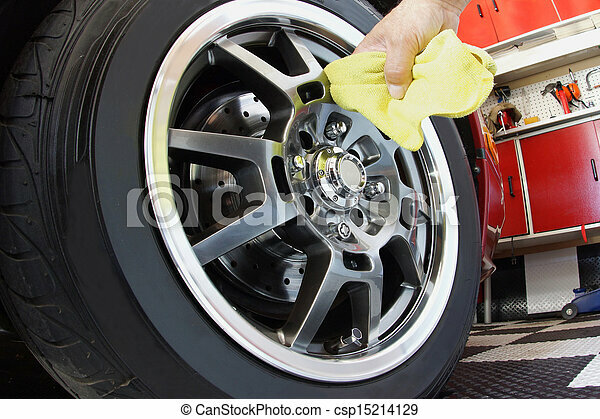 Hand polishing mag wheel with cloth in garage. 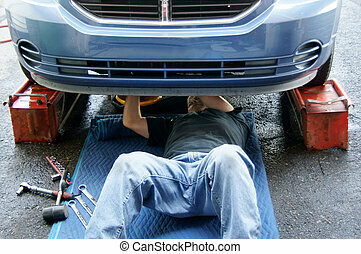 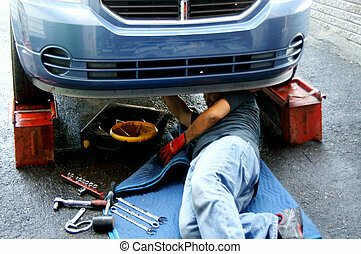 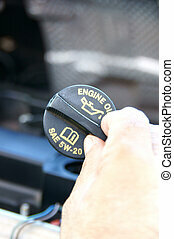 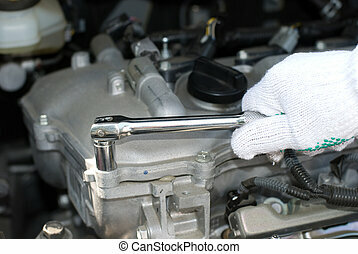 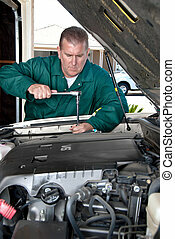 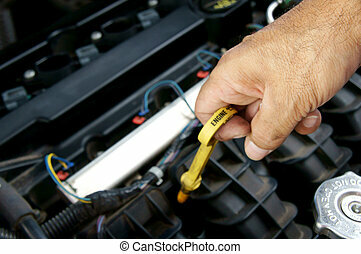 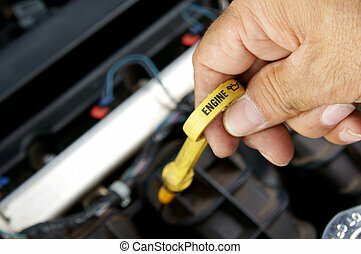 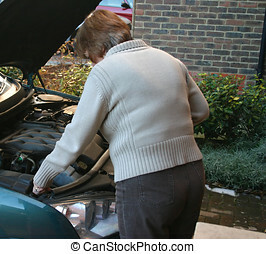 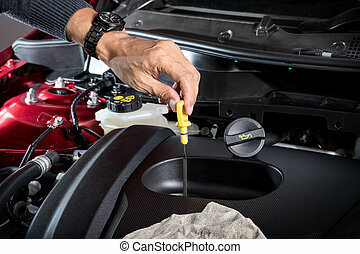 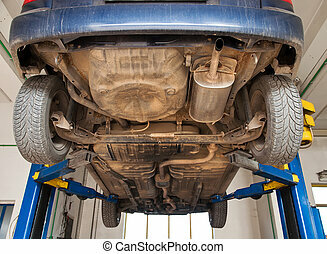 A mechanic works of a car during routine maintenance. 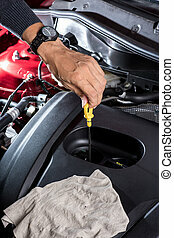 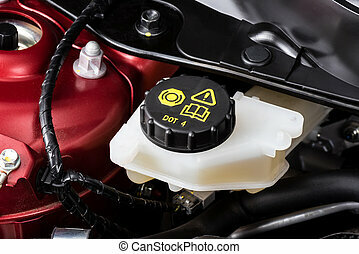 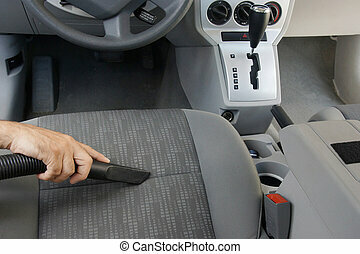 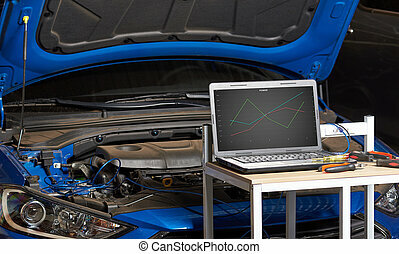 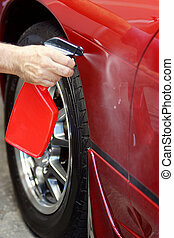 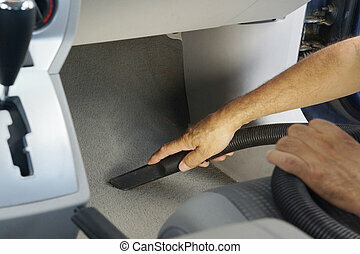 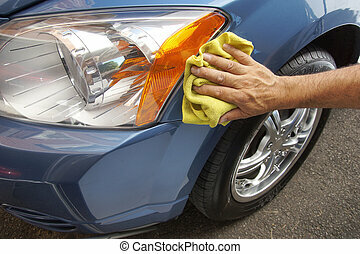 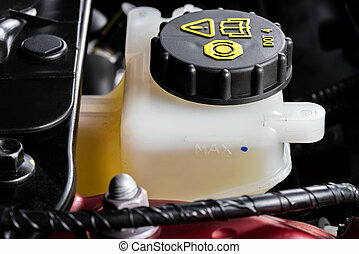 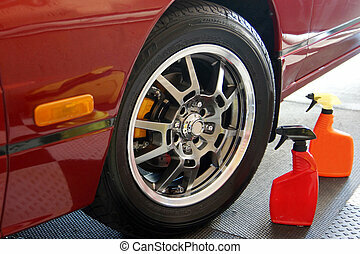 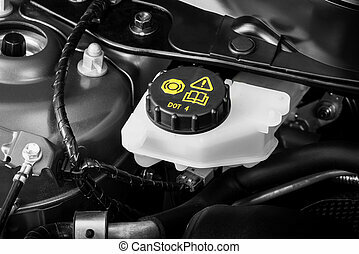 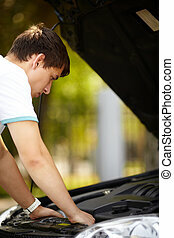 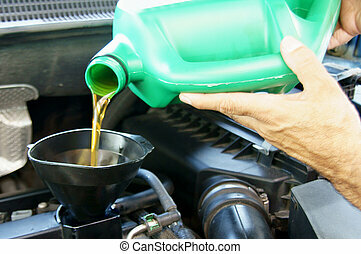 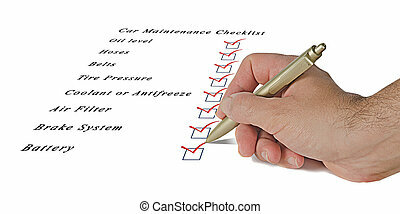 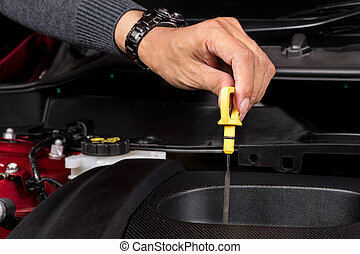 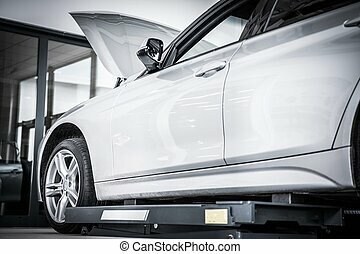 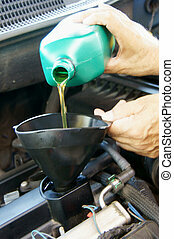 Modern Car Maintenance in the Auto Service. 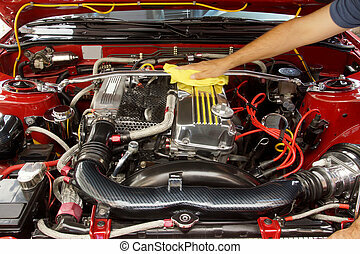 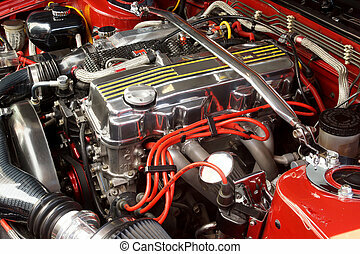 Open Hood Engine Check.